The Baba Balak Nath Sidhpeeth is located at a distance of 50 Kilometers from the District Headquarter Hamirpur Himachal Pradesh India on a hill known as ‘Deoth Sidh’. 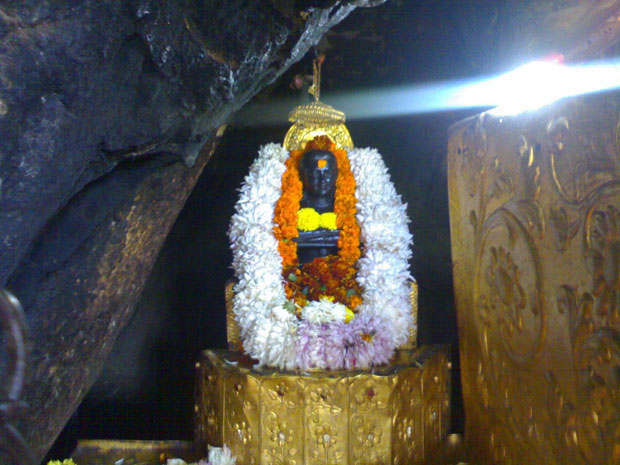 Deotsidh Temple :- The cave temple of Baba Balak Nath is thronged by devotees all the year round. It is situated on the border of Bilaspur (70 Kms), Hamirpur (30 Kms) and is well connected by roads from all sides. During Navratras, there is a continuous stream of visitors to receive blessings of the Baba. Shri Sidh Baba Balak Nath Temple, Deotsidh is a renowned holy shrine to the North of India. It is situated on the Deotsidh Dhar Range in Shivalik Hills with the snow capped Dhaula Dhar Range standing tall as a back drop. It stretches across 44 kilometers from Hamirpur, 185 kilometers from Chandigarh, 93 kilometers from Nangal Dam (Railway Station), 65 kilometers from Una and about 5 kilometers from Shahtalai, District Bilaspur (HP). Shri Baba Balak Nath is an incarnation of Lord Shiva and the spiritual reformer during the Shakti Movement. Shri Baba Balak Nath is worshiped for the well being of mankind. This cave shrine attracts millions of devotees from India and overseas. The devotees offer sweet Indian Flour Bread, "Rota" at the altar of Babaji. Goats are also offered to Babaji as a thanksgiving gesture for his love. These goats are not sacrificed but instead are fed and taken care of. Sri Sidh Baba Balak Nath is also known as "Kartikey", but nothing is clear or authenticated about what prompted Babaji to undertake the long journey from Girnar (Gujarat State) to his home town, Shah-Talai. It was there that he accepted the job of a cowherd in the house of "Mata Ratno". And on leaving the job at "Mata Ratno", he came to the Deotsidh cave. Women are not allowed to enter the cave. There is a raised platform just opposite the cave from where women can take darshan of Babaji. Six kilometers from this temple, there is a place called Shah-talai where Babaji is said to have practiced penance. Melas are organized during the Holi festival. Sunday is considered as an auspicious day to visit Babaji and consequently attracts a swarm of devotees on this day. The management and administration of Shri Baba Balak Nath Temple, Deotsidh was taken over by the Government of Himachal Pradesh on 16-01-1987 under the Himachal Pradesh "Hindu Public Religious Institution and Charitable Endowments Act, 1984". The temple is managed by the trust constituted by the Deputy Commissioner, Hamirpur, who is the commissioner of the temple. The present trust consists of 20 members which include official and non-official members. 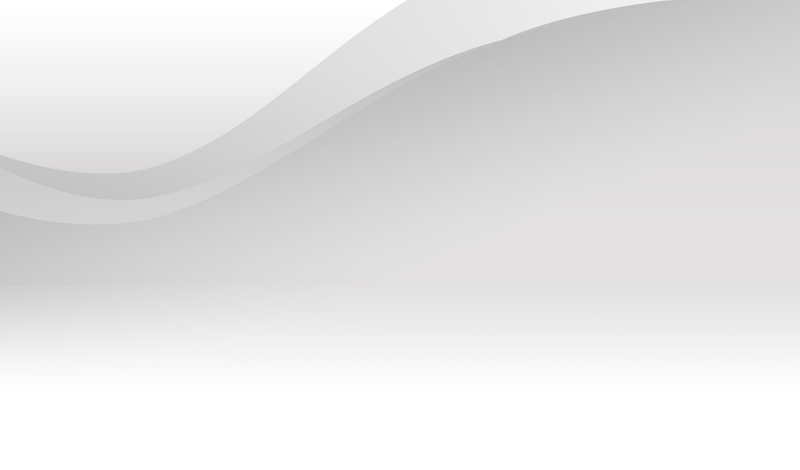 Meetings are conducted regularly under the guidelines laid down by the trust. Nearest Railway Station - Una (50 Km from DeotSidh) Daily trains are available from Delhi to Una. 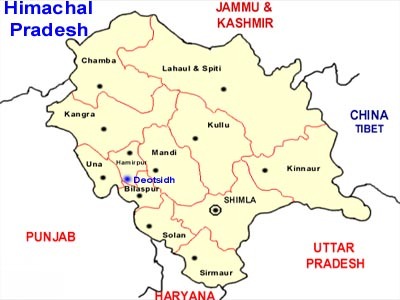 DeotSidh is the Connected from district Headquarter Hamirpur,Una,Bilaspur by Road. Inter State Bus Services is also available up to ShahTalai. The pilgrims throng the ‘Sidhpeeth’ round the year, but unusual congregations and gatherings can be seen on ‘Sankrantis’ and Sundays. Disclaimer: the online payment faclitity is offered by hdfc bank and bababalaknath.in is just offering a link and is not responsible for any disputes . You are requested to verify from hdfc bank before u make a donation. the official baba balak nath Deoth Sidh Mandir website .